Outside the Box: A Very Late Christmas Post!! I should have posted this before Christmas but got so carried away with all the preparations for the festivities blogging was the last thing I thought of! 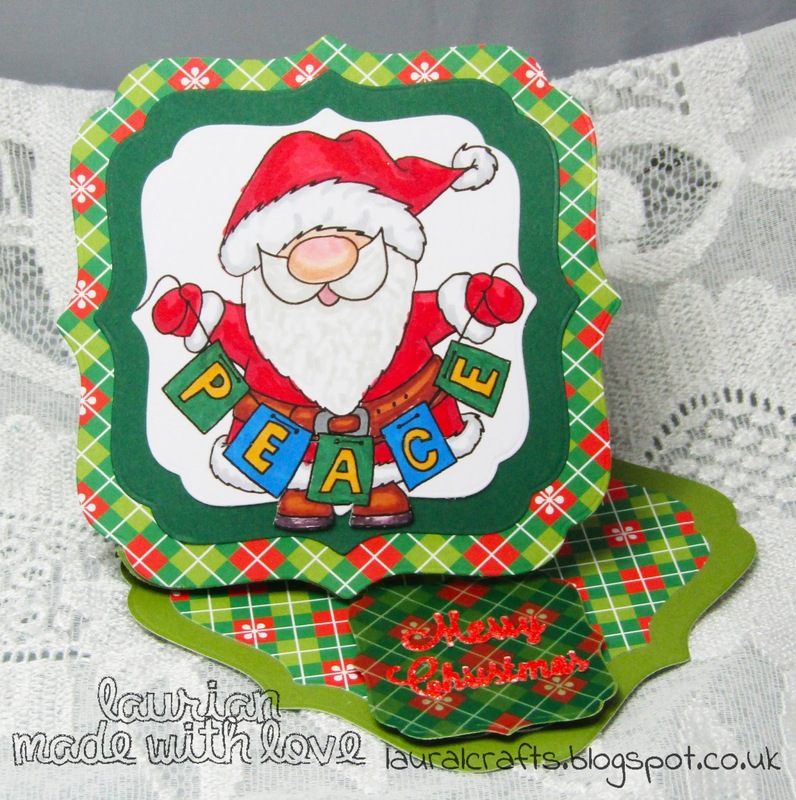 This adorable little Santa is the image from Gerda Steiner for the December Progressive challenge, I coloured him with Promarkers and used some gorgeous papers from a pad I found in Lidl that has some gorgeous Christmas paper sets in it! I cut out a twisted easel card using a shaped die and followed the shape right through with the different layers, the sentiment is a die cut from Crafters Companion. I hope your Christmas was peaceful and filled with joy and laughter! So if you've not found her yet - go visit Gerda here.